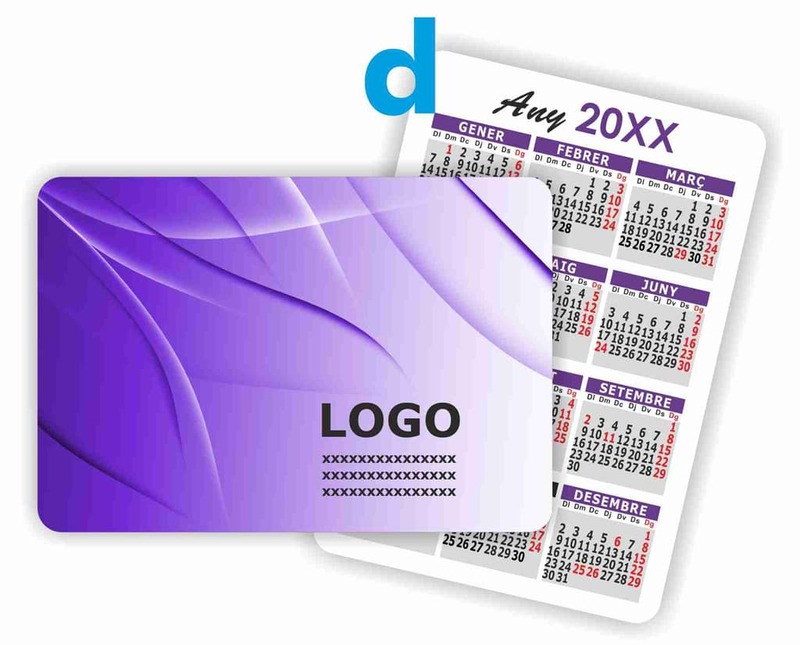 9x6cm pocket calendar printed on both sides in color. Card stucco 350gr. Possibility of laminated calendar, highly recommended to give more rigidity and durability. To confirm the calendar we send a sample design via email. Fill in the form and click on the basket to order. Once the form has been in and sent, it is blank. If for any reason we don't reach us, we will contact you. Thank You. I agree to receive information on the activities, services and products of Susanna Coll Colomer. Party responsible for data processing: Susanna Coll Colomer.